In a time where ‘retirement age’ is no more, the trend is for older, long-term employees remaining in the workforce for longer. Those with steady employment find comfort in their jobs knowing that they have been with the same employer for over decades, but what happens when you are suddenly terminated? ‘Restructuring’ or ‘Position Elimination’ are just a couple of terms used by employers when letting go older employees who have a significant tenure with a company. Employers are entitled to let someone go, as long as it is not for a discriminatory reason and they have provided that individual with an appropriate amount of notice. What is an appropriate amount of notice for an older individual who has been with an employee for over decades? In the recent case of Stephanie Ozorio v. Canadian Hearing Society, 2016 ONSC 5440, the Superior Court came to the conclusion that the Plaintiff, was entitled to 24 months’ payment of salary and benefits in lieu of notice after the Defendant failed to provide a reasonable severance offer for her dismissal. Stephanie Ozorio worked for the Canadian Hearing Society (“CHS”) for approximately 30 years and at the time of her termination was 61 years old. She began her employment in 1985 as a Vocational Rehabilitation Counsellor and Intake Coordinator eventually working her way up to Regional Director of the Toronto Region in 2004. At this time, Ms. Ozorio had an annual salary of $102,098.86. On November 18, 2015, Ms. Ozorio was provided with a “voluntary separation offer” by CHS’ new CEO at the time. She was offered a separation package of $93,000.00 which was less than her annual salary. After Ms. Ozorio refused this initial offer, CHS sent another offer of 12 months’ salary to. Ms. Ozorio refused this offer as well and commenced a claim against CHS for wrongful dismissal. The Superior Court found that all offers made by the Defendant were deemed unreasonable and that the provision of 24 months’ notice was more accurately representative of the reasonable common law notice owed to Ms. Ozorio. It was very early on that CHS became aware that their initial offer of less than a year was less than satisfactory. After Ms. Ozorio commenced her claim stating that she was entitled to a notice period of 24 months, CHS was quick to relay that she would reasonably be entitled to 18-20 months notice. Judge O’Marra referred to this as “a tacit acknowledgment of the inadequacy of their original offers. In order to determine the length of notice, the Court looked at the factors as set out in Bardal v. Globe & Mail Ltd. (1960), 24 D.L.R. (2nd) 140 (H.C.). More specifically, the court focused on Ms. Ozorio’s age, length of service and position of responsibility. In addition to age, the Court found that Ms.Ozario’s position as a Regional Director aligns with the 24 months notice requested by her. The Defendant attempted to rely on the fact that the Plaintiff’s position was that of mid level management and therefore is deserving of a lesser notice period. Judge O’Marra stated that this was quite the contrary as Ms. Ozorio was a very senior manager and managed the largest regional office of CHS. In the end, Ms. Ozorio’s submission that her age as well as competition for more senior roles within Toronto would make it very difficult for her to find new employment despite her experience and expertise. Judge O’Mara awarded her the requested 24 months’ notice payment of salary and benefits in lieu of notice. It is important for older employees to understand the implications they may face when terminated and ensure that they seek legal advice when it comes to separation packages. They may be entitled to much more than they may be led to believe and so allowing a legal professional to review their offers can assist them in receiving the notice that they are truly entitled to. It is important for employers to examine the notice periods of aging employees within their company. 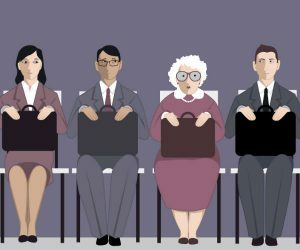 Older employees may be entitled to significantly more notice not simply because they have had a lengthy service with their employer but because age can be a significant impediment when it comes to the workforce. The Courts are clearly aware of this difficulty older long term employees will face when seeking new employment and are making efforts to protect them in such circumstances. In addition, if an employee is planning on retiring, it is important they understand that a retirement is. in a sense the same, a resignation and would bar them from being entitled to any notice at all. The general principles of employment contract law regarding termination of employment govern retirement. 4. That retirement is preceded by the requisite notice of termination of the contract, or wages in lieu thereof. It is important to note that in cases of ill-health the employee would still receive employment and severance pay. Remember, just because an employer says you are retiring, does not mean you aren’t entitled to notice. It is important to ensure your rights are protected. Contact Monkhouse Law today for a free consultation and information regarding your situation.